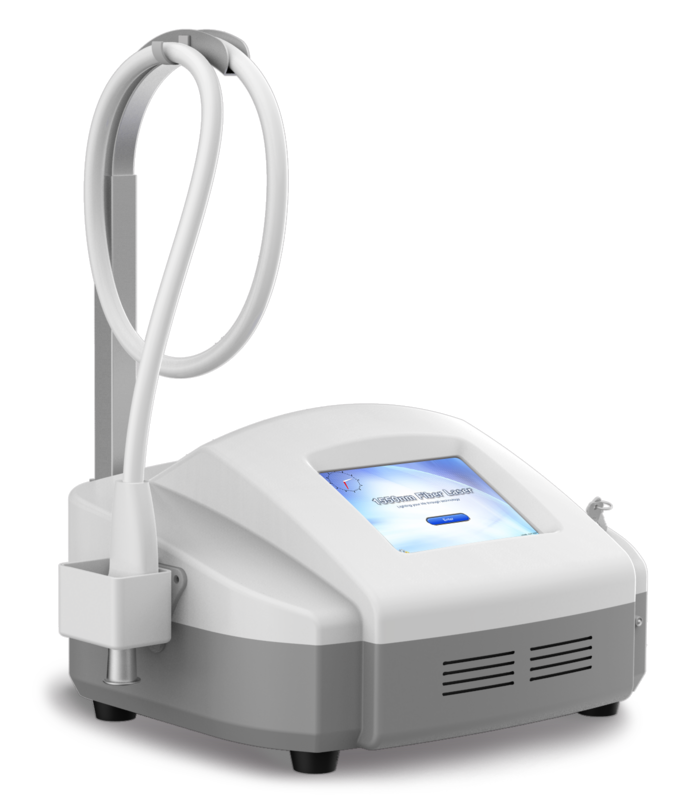 Cambridge Stratum introduces the Spectra 1550 an advanced 1550nm scanning fibre laser, offering unparalleled performance and application for skin resurfacing scar revision. In earlier versions of fractional laser products, the optical splitting placed significant limitations on the capability and operation of the machines due to the energy required, and the subsequent bulk heating of the target tissue. The Spectra 1550 completely defies these limitations, writing one micro treatment zone (mtz) as a time, and even has a non-sequential mode to maximise the tissue cooling before writing an adjacent mtz. This is beneficial as higher fluences can be used and mtz can be placed closer together, reducing both the number of passes in a treatment and the number of treatments needed to achieve a specified result. This innovation in fractional scanning gives it the ability to treat a very large surface area in just a single scan – making it far more effective than its predecessors. The maximum scanned area for the Spectra 1550 is a square 2cm x 2xm, which is more than 4 times larger than its competitors. The density of the treatment zones can be controlled with the precision and can be varied in 12 steps from 25 mtz/cm² to 3025 mtz/cm². This allows the user to explore different modalities, for example recent trials have shown some improvement of hypopigmentation spots by using high density 1200+ mtz/cm² at a low fluence to encourage melanocyte migration into the hypopigmentation area. Another benefit of the Spectra 1550 is the fact that there are 4 pre-set scan shape types (circle, triangle, square and hexagon) which can all be controlled independently to produce a vast range of treatment combinations, without affecting the array pitch spacing! Even greater flexibility can be achieved using the unique freehand mode that allows the user to draw any shape. The Spectra 1550 then treats the defined area and automatically calculates the position of each mtz, so that the delivered energy density is constant. The Spectra 1550 will allow for quicker delivery of a greater energy to the treatment area with reduced bulk heating, resulting in a fewer treatments and giving the very best results to clients. The Spectra 1550 also comes with a 3-year on-site warranty, for the customer’s piece of mind and as a demonstration of the excellence of the product.